You may know her as Prince Harry's current girlfriend. Or perhaps you recognize her from her work on the TV series Suits. Admittedly, we wouldn't mind being known for those two things alone. (We especially wouldn't mind having a royal with a British accent sweep us off our feet. Any leads?) 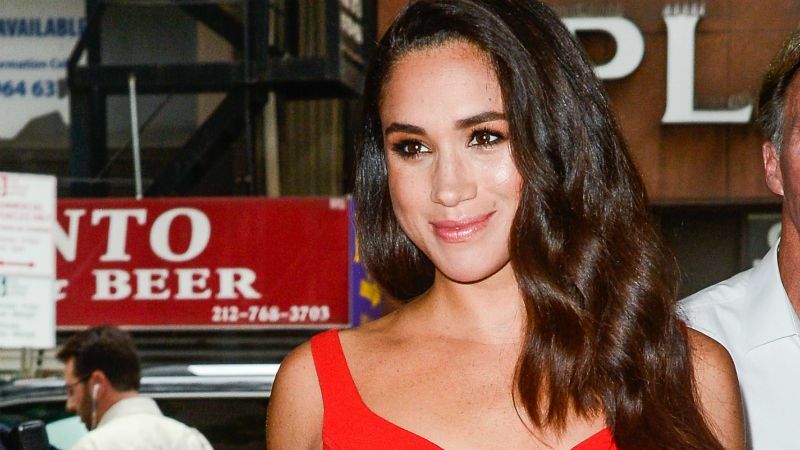 But, of course, there's so much more to Meghan Markle than acting and...Harry-ing. And in a recent interview with Good Housekeeping UK for their June 2017 issue, she opened up about one of her other interests: her love for cooking. "There is nothing as delicious (or as impressive) as a perfectly roasted chicken," the 35-year-old told the magazine. "It’s a game changer. I bring that to dinner parties and make a lot of friends." Come to think of it, a simple roast chicken dish without too much fanfare sounds like it'd be appreciated by Markle's beau's brother (that's Prince William to you). The second in line to the British throne recently told BBC Radio 1 that he's "not so good with the spicy food." Anyway, we have a feeling that a dinner party hosted by Markle—with or without Harry's attendance—would be a magical event. After all, the Suits star also told the magazine that she's a talented calligrapher, meaning handwritten place cards would likely be part of the affair. "I used to be a calligrapher for weddings and events—that was my side job while I was auditioning," Markle explained, distancing herself even further from any two-dimensional perceptions. "I think handwritten notes are a lost art form. When I booked my first [TV] pilot, my dad wrote me a letter that I still have. The idea of someone taking the time to put pen to paper is really special." Whaddya know? This is even more exciting than the time we learned about the Duchess of Cambridge's brother's marshmallow-printing service.